Well, this past Sunday was Easter and although it definitely had some local flair, I think overall it was a pretty good holiday! 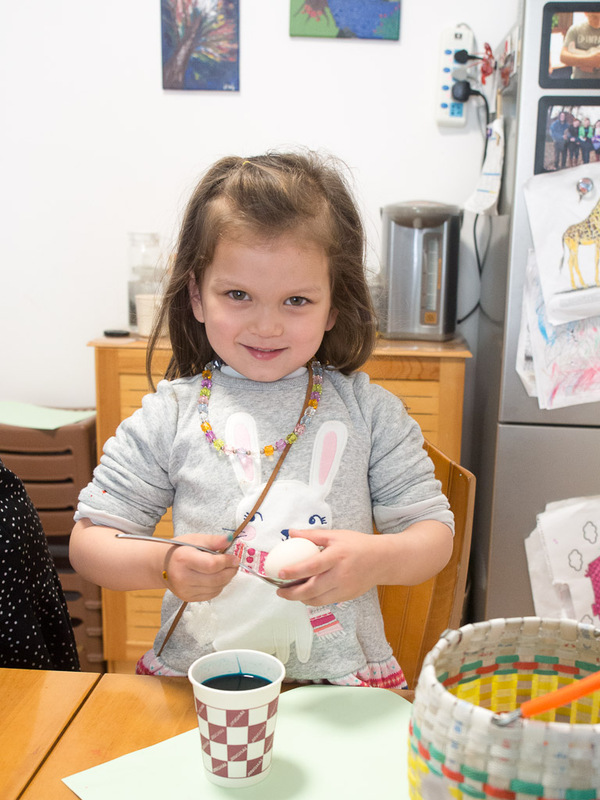 We invited some of M's friends from school to come over for an egg hunt and egg dying, and a couple kids actually did come! I had bought some plastic Easter eggs online (who knew you could do that?) and filled them with candy that I hoped the kids would like: Hershey's kisses, dates, sesame candy, wasabi peas, mango gummies. Not your usual American options, but you've got to give them something they'll eat, right? I also bought tons of eggs, some to boil ahead of time to make deviled eggs and some to dye. 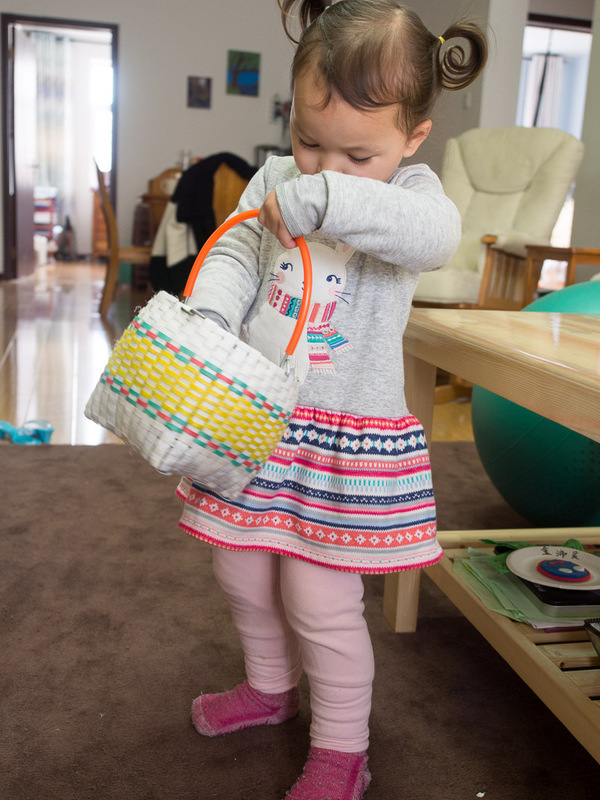 Once the kids got here, they ran around the house looking for the eggs and thought it was the coolest thing ever. 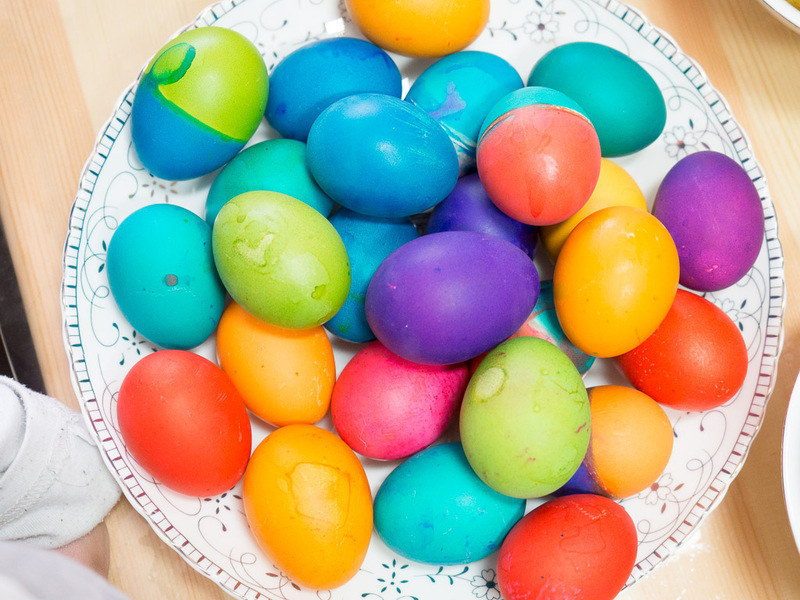 After most of the eggs were found, everyone sat around the table and dyed some eggs, which the kids thought was super fun once they got the hang of it. 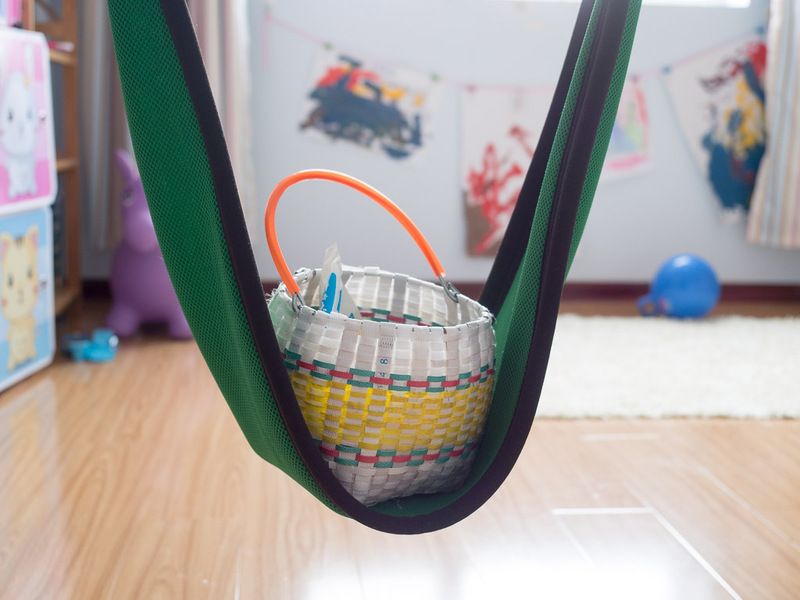 While we waited for the eggs to dry, the moms sat around over snacks and tea and chatted while the kids played on the very popular swing in M and E's bedroom. Once the eggs were dry, the kids used them to play "poque poque," which is a game I played growing up where everyone gets an egg and you hit your egg against someone else's to see whose is stronger. Once M figured out the game, she started slamming her egg really hard into the other person's, which always resulted in her egg winning the first match but losing the second. Overall, it was a great party! M's closest friend from school came and I felt like I got a window into what life is like for them here. It was also very interesting to see the interaction between the other moms, since I usually hang out with people one-on-one and don't get to hear how they talk to each other. After everyone went home, which by the way was about five hours after the party started (there's a culture difference), the girls and I read the crucifixion story and they put their Easter baskets out on the couch. 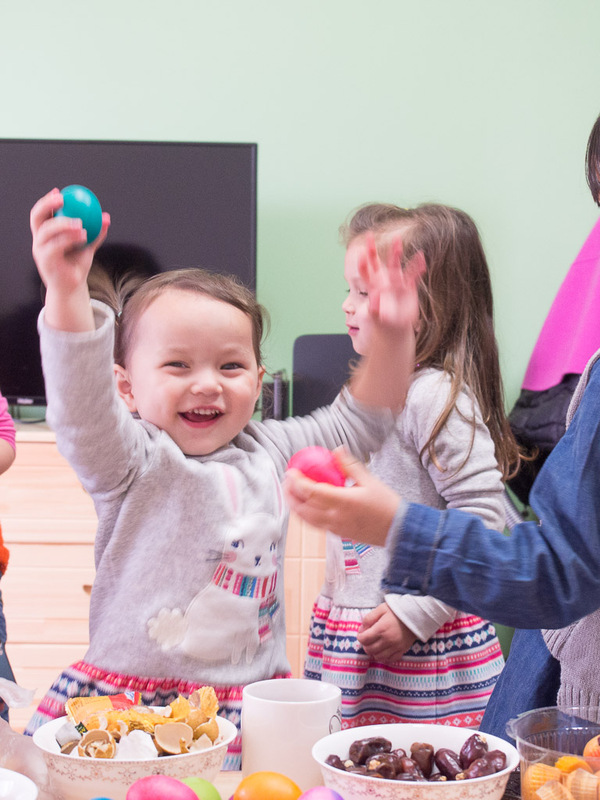 After such a full day, they fell straight to sleep and were very excited to wake up, read the story of the resurrection and find their Easter baskets full of treats! Although, again, since the market is a little limited, the treats were pretty local. Next year, I'll have to bring some from the States after we visit.